Toll roads can be found in Australia's eastern states of Queensland, New South Wales and Victoria. These toll roads can be found within the metropolitan areas of Brisbane, Sydney and Melbourne and are a popular route for travel in and around these cities. When renting a campervan, the hirer is fully responsible for road toll fees. This is clearly stipulated in the information that is handed out with every rental agreement, which explains road toll procedures and how to make payments. In most cases, those who have hired a campervan, who have traveled these toll roads and who have failed to pay the toll fee, will have their credit card debited the amount that they owe. There may also be a fine and other fees, including administration fees, relating to this failure to pay. Before you pick up your campervan and begin your travels, it is important to be aware of the costs associated with Australia's toll roads. Brought to the public by Queensland Motorways, GoVia is a new initiative that has replaced the traditional toll method in Queensland. Paying cash at tolls on Queensland roads is no longer an option, with the replacement "go via tag" giving motorists the benefits of no merging or lane changing, no stopping, queuing or slowing to pay tolls and reduced congestion. Motorists can choose to pay tolls with an in-vehicle tag (a go viatag) or be video tolled (go viavideo). Signing up is simple and involves visiting the go via website (www.govia.com.au/via/home/) to sign up for an account or purchasing a pass. Passes can also be purchased at outlets such as BP, Caltex, United, Night Owl and Matilda. The toll roads of New South Wales can be found in and surrounding its capital city of Sydney. Sydney's orbital network is made up of ten motorways, linked with expressways, freeways and other major roads. While some of the older toll roads still accept cash, many of the newer ones are fully electronic and will require you to purchase either an electronic tag or pass. "E Tag" travelers must travel in the "E" lanes, which are clearly marked. The tag is read with a censor and your toll account is automatically debited. These tags can be purchased through several websites (www.roamexpress.com.au AND www.tollpay.com.au) and can be used on any Australian toll road. 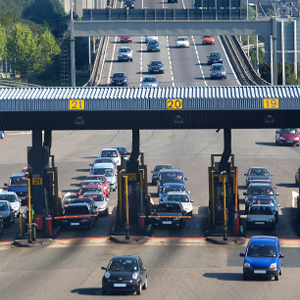 If you choose to travel through these tolls with a pass, your number plate will be temporarily recorded on the tolling system so that the toll can be paid at a later time. Victoria's metropolitan area of Melbourne is buzzing with toll roads, including the Exhibition Extension and the Melbourne City Link. Several toll methods are available to drivers including a casual day pass for infrequent users, a video system which involves a $1.20 surcharge, an electronic tag and the traditional method of paying money at a toll booth. An important fact to keep in mind is that all electronic tags purchased for Victorian roads can also be used on Queensland motorways and in NSW on the Harbour Tunnel, the M1, M2, M4 and M5. To purchase passes and tags, visit the citylink.com.au website.